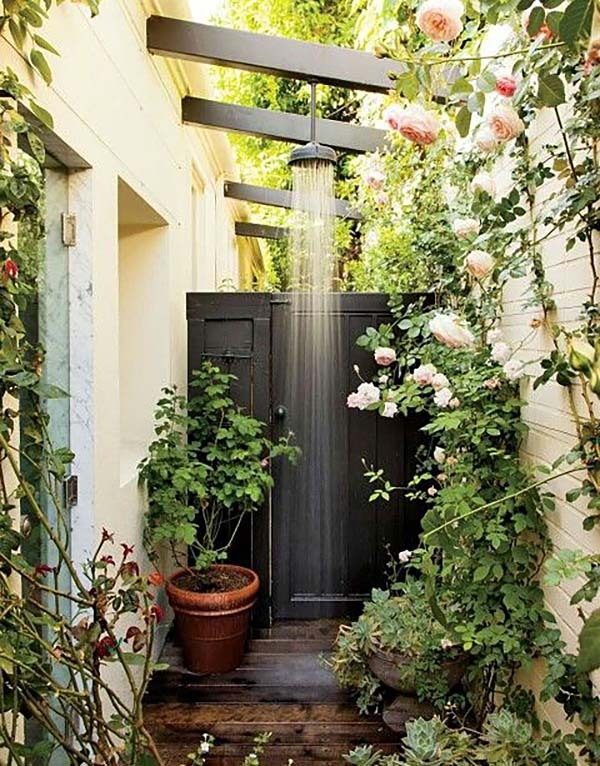 An outdoor bathroom can be a wonderful addition to your backyard, whether using it to rinse off after swimming in the pool, from working in your garden or just to enjoy nature. 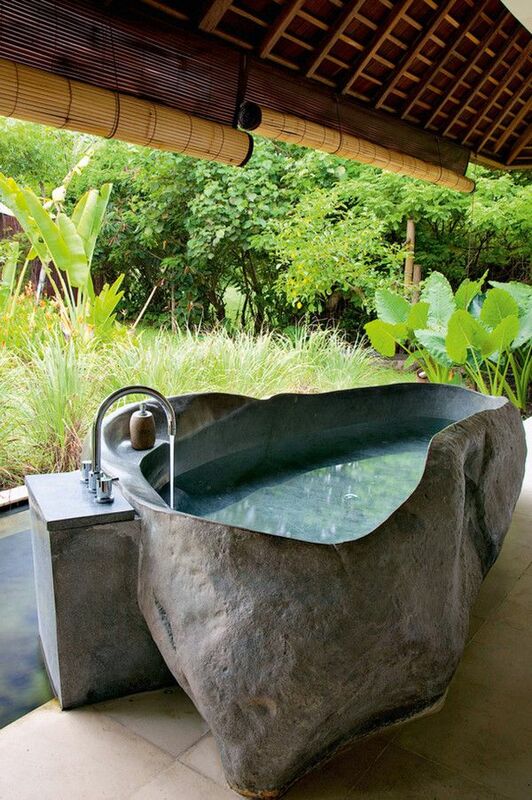 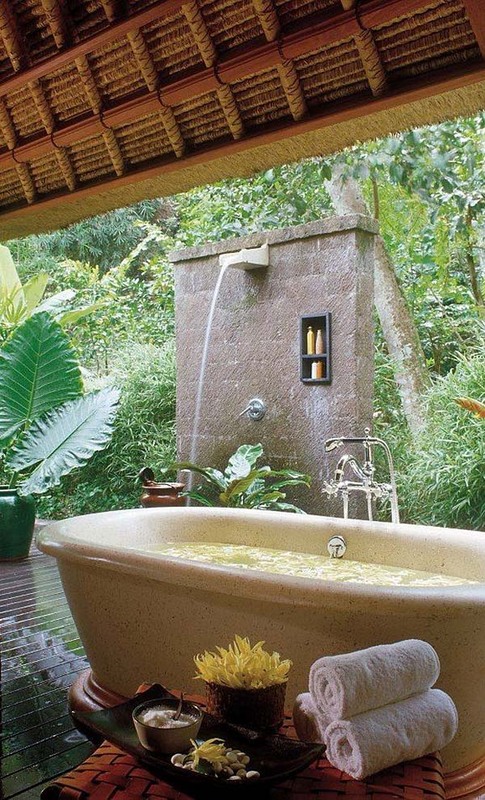 Nothing feels more amazing than a shower or even a bath in the great outdoors! 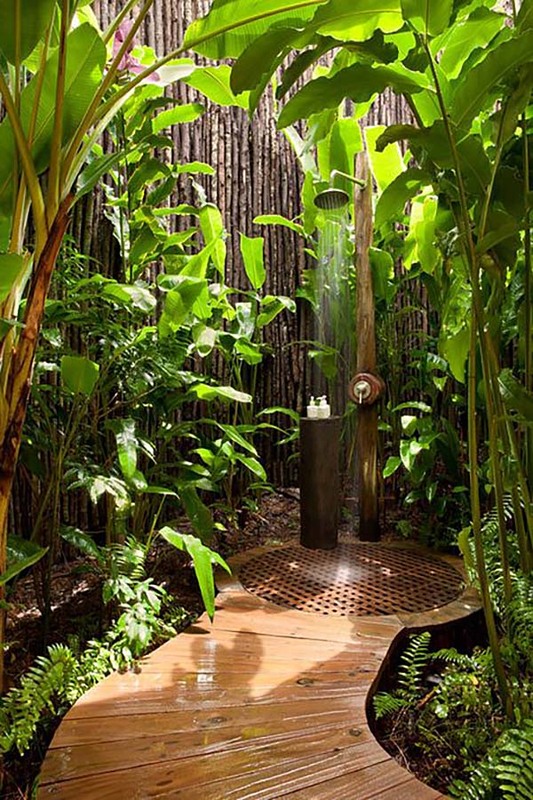 Surrounded by lush tropical plants, tall grasses, rocks, and even fencing, one should consider building their outdoor bathroom with privacy. 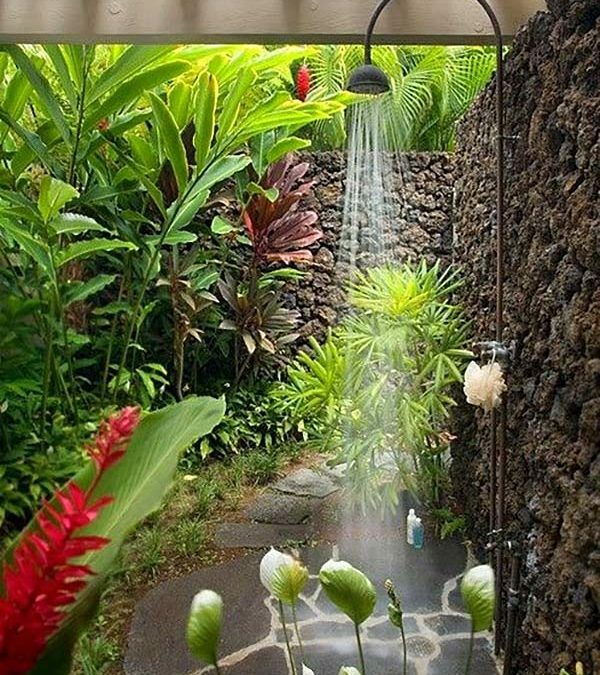 There are numerous ways this can be done. 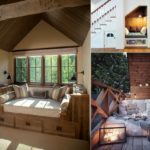 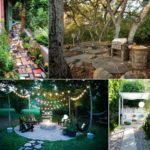 We have gathered a collection of images for you to have a look at that should give you some great inspiration on how you can make your heavenly oasis and private outdoor retreat. 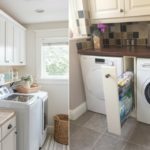 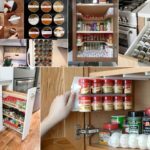 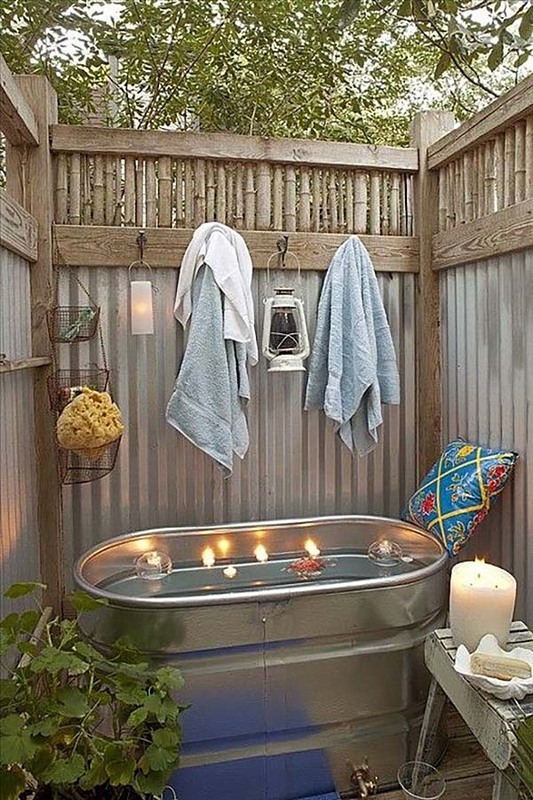 Your space can be anything from rustic to modern or even DIY with a little creative skill. 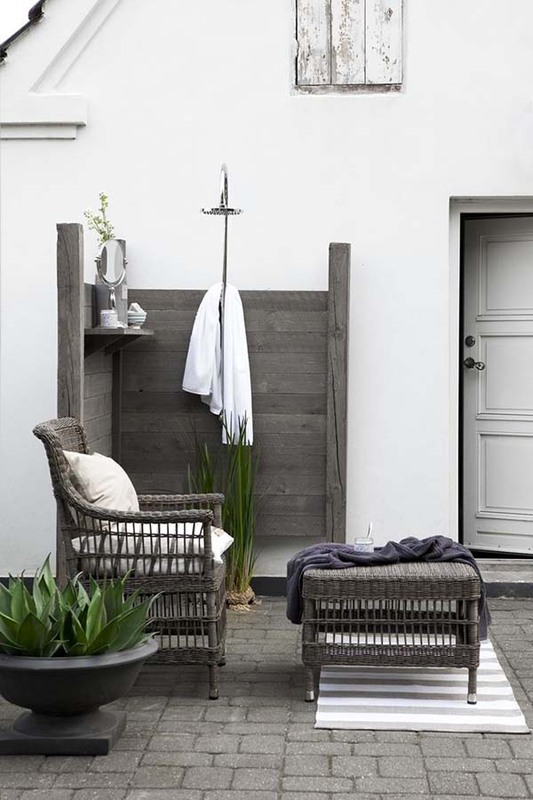 Bathing outdoors is a luxury experience that anyone should be able to achieve, as long as you have enough space in your garden and outdoor plumbing. 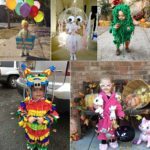 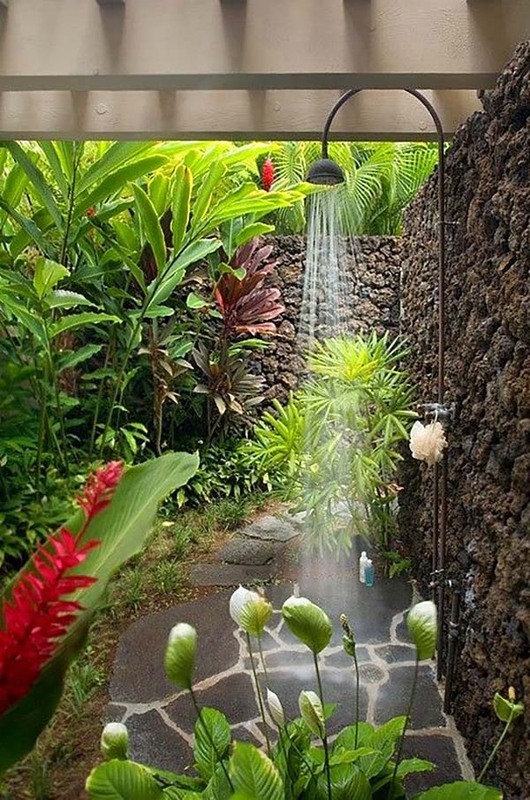 Even a garden hose can be used if you want to! 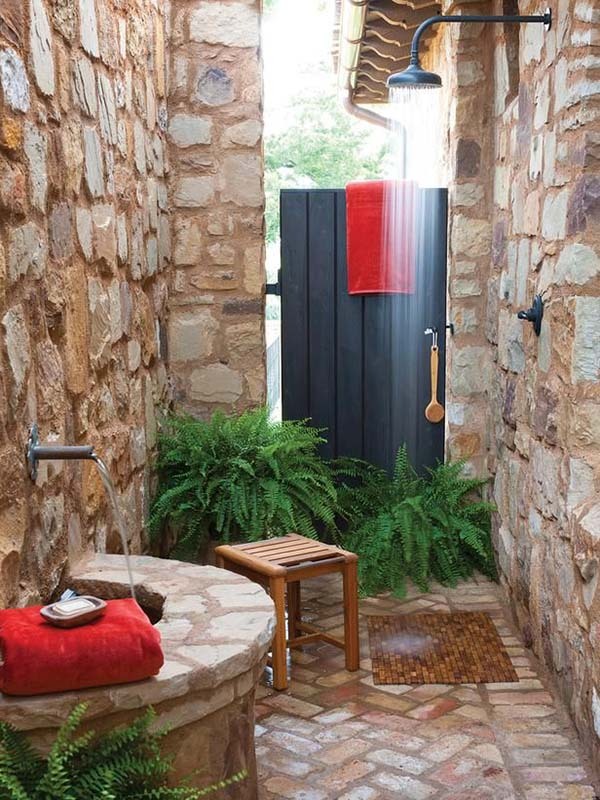 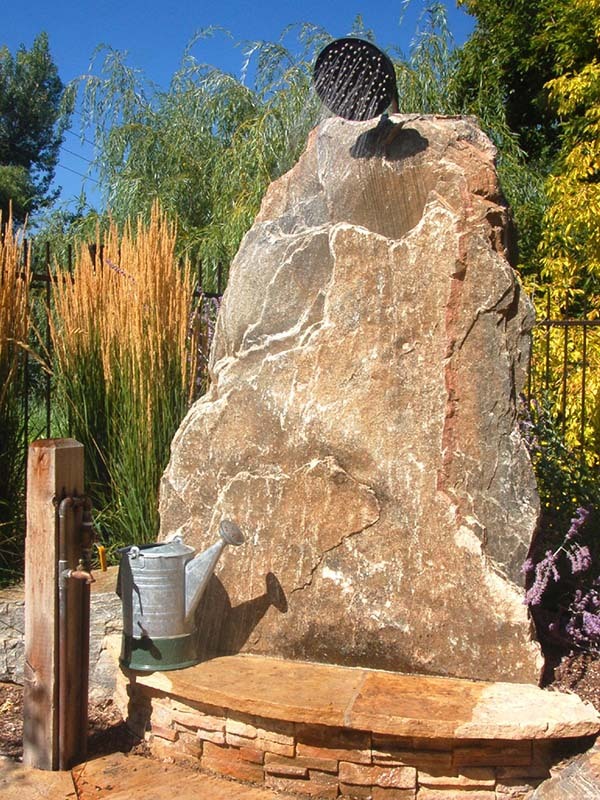 Your outdoor space can be an extension of your indoor bathroom, maybe your shower is inside, but your bath is outdoors, nestled in rocks or surrounded by flagstone or brick. 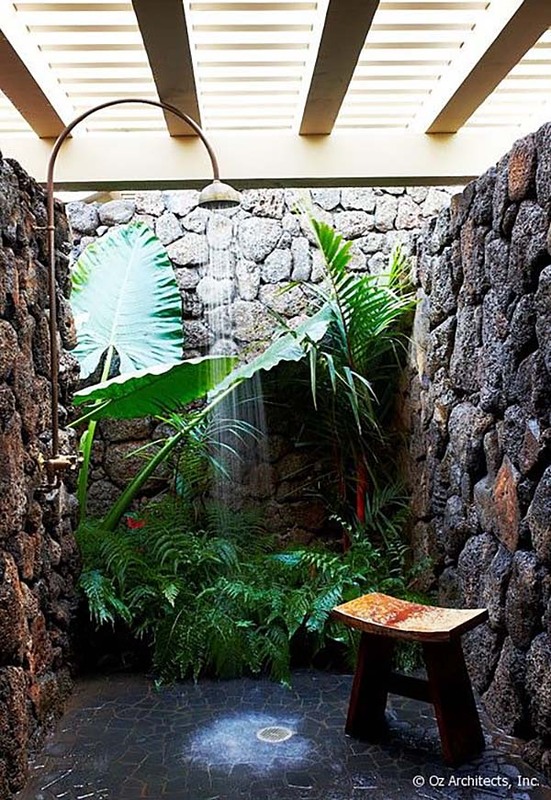 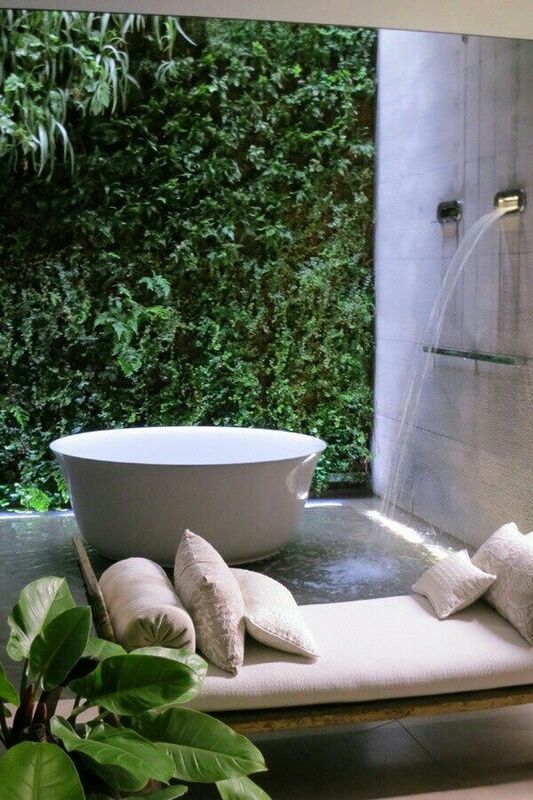 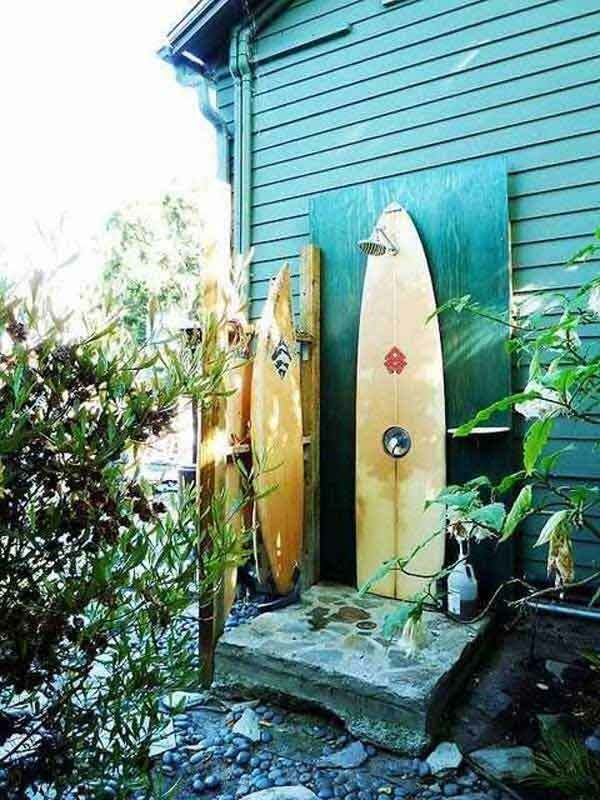 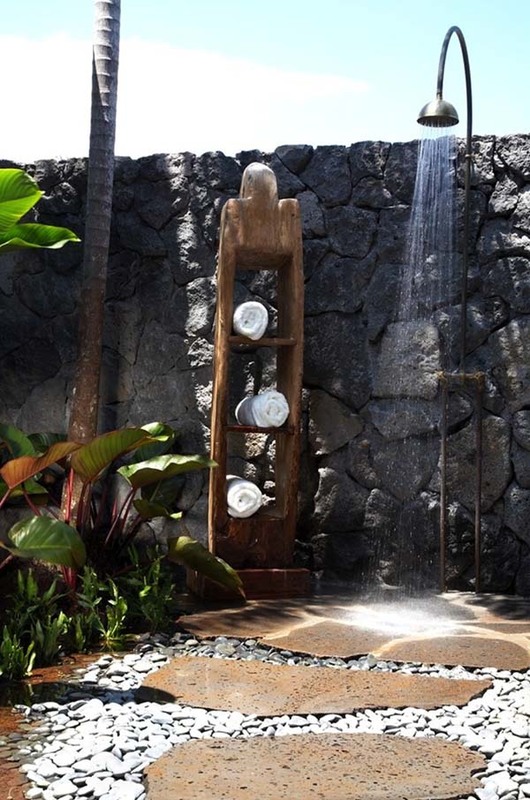 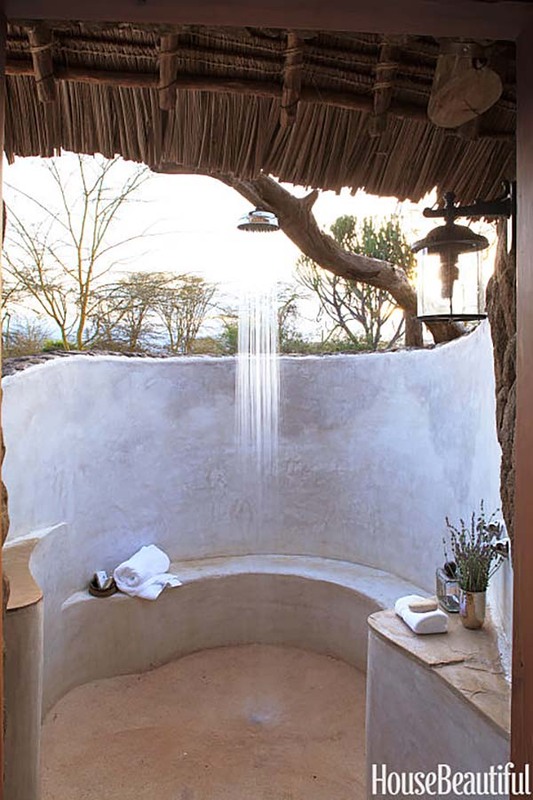 Have a look below to find some incredible ideas of outdoor baths and showers that will give you some inspiration and let us know which one is your favorite!